The current Legion Hall is not the first hall on the site. 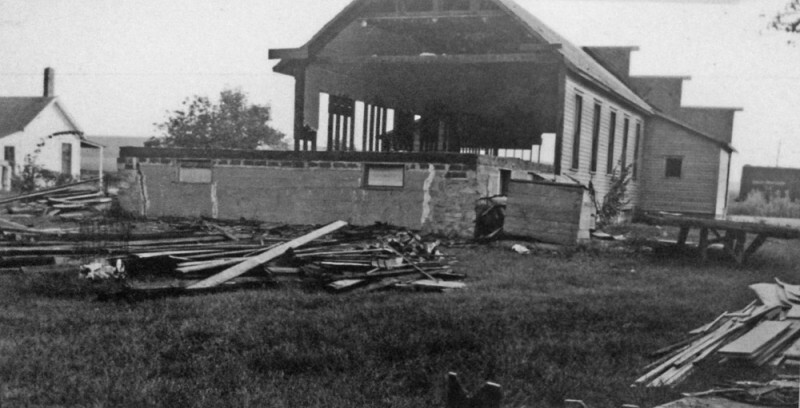 The original Ely Legion Hall was constructed in 1923 and expanded in 1928. Actually, it was two old school buildings that were moved to the site and fabricated into a hall for the Ely Post. 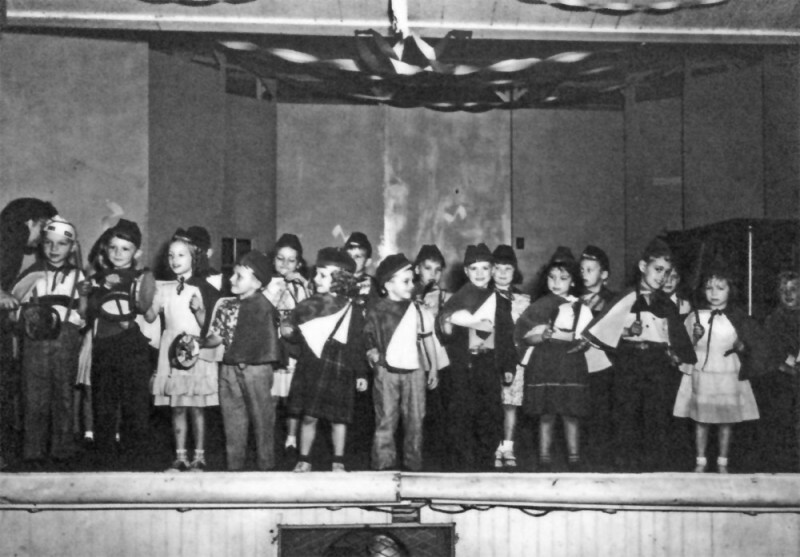 The building was dismantled in 1954 to make way for the new hall but during its 31 years it was used for just about every community event including stage productions and as the home court for the Ely High School basketball team. 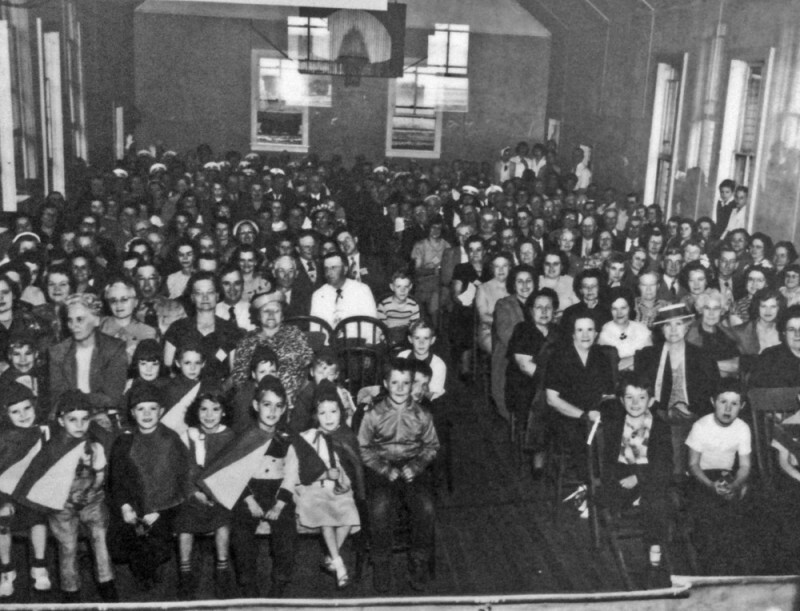 The audience for an elementary stage production in 1950. Note the basketball hoop. Dismantling the hall in 1954, front view. Dismantling the old hall in 1954, rear view. A boxcar is visible on the old railroad tracks to the right. 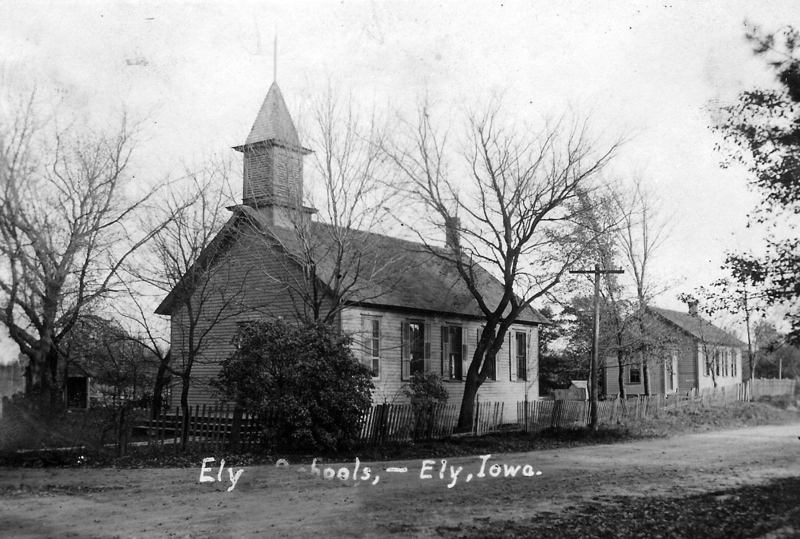 The old Ely school buildings that were dismantled and moved to construct the first Ely Legion Hall.